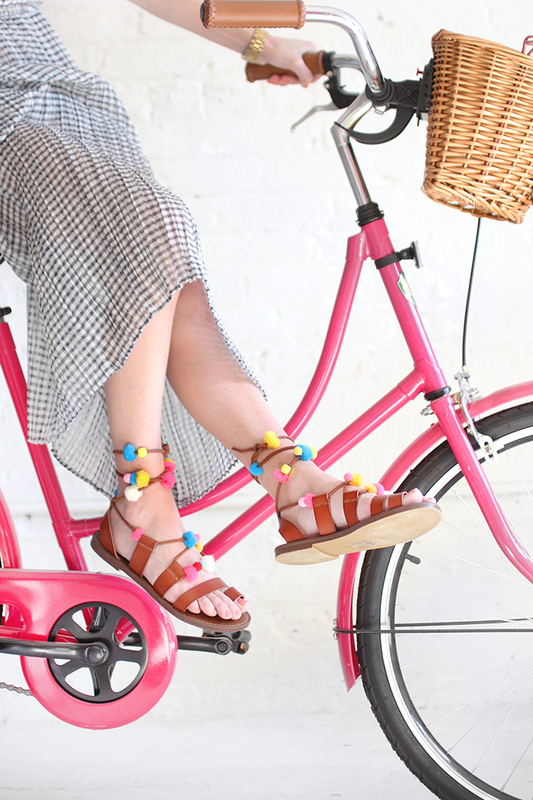 Unlace the sandals, then string on the hollow pom poms and beads as you re-lace them. Add more pom pom by hot gluing them to the beads. Omg! I love them, so cute! 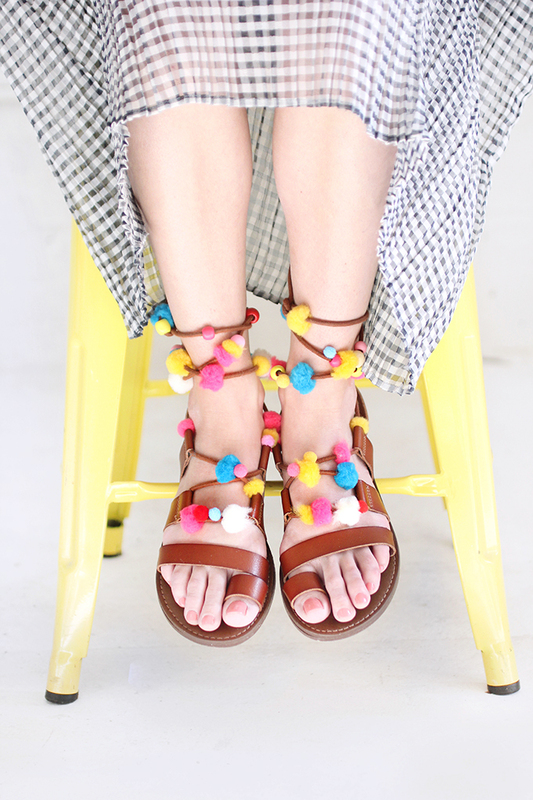 I love pom poms and this is a great way to add them to sandals! 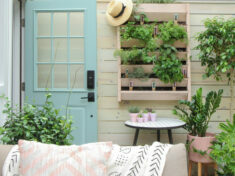 I love this DIY for summer! 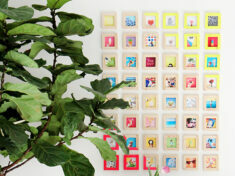 Such a fun colorful project. So cute. Summer is here. 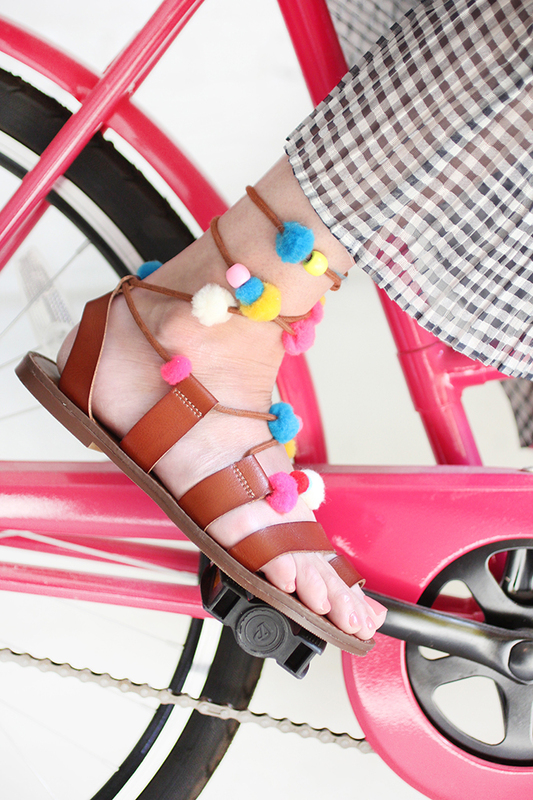 I did a pair of pompom sandals last week. So beautiful!! The pom poms link and the beads link both link to the beads…where do you get hollow pom poms? Or can you make them yourself? 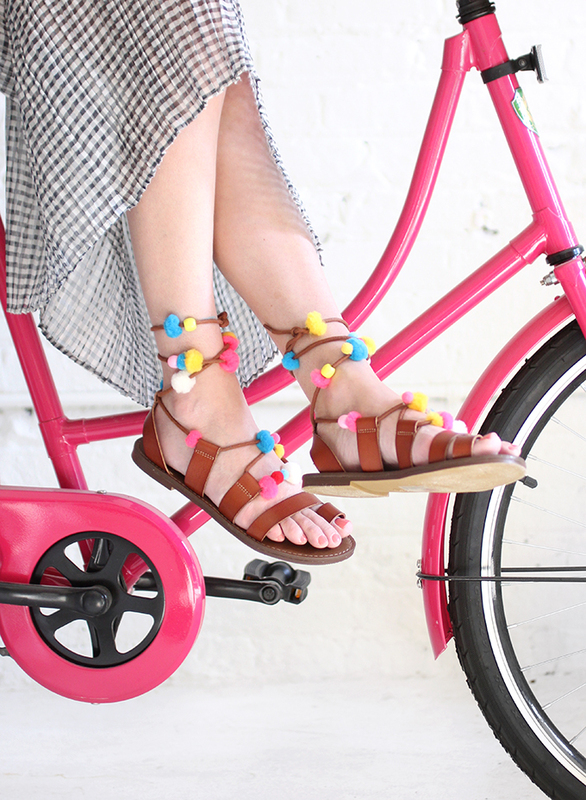 Click the link that says Pom pom beads!